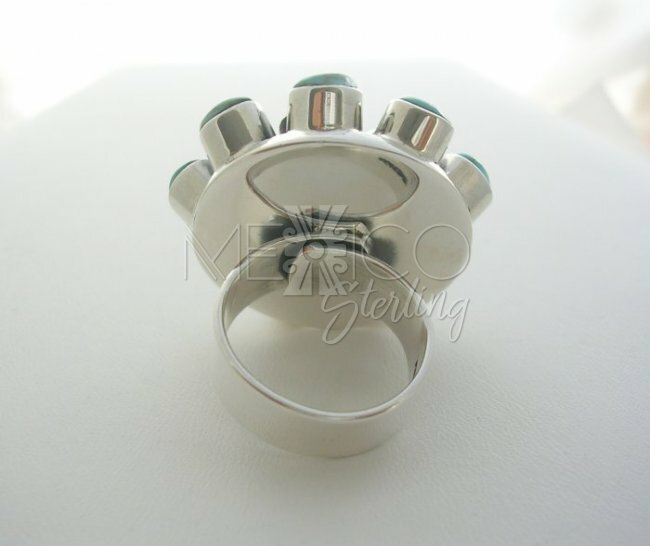 Decorative Taxco Solid Sterling Silver Ring [RNG2561] - $78.00 : Mexico Sterling Silver Jewelry, Proundly from Mexico to the world. 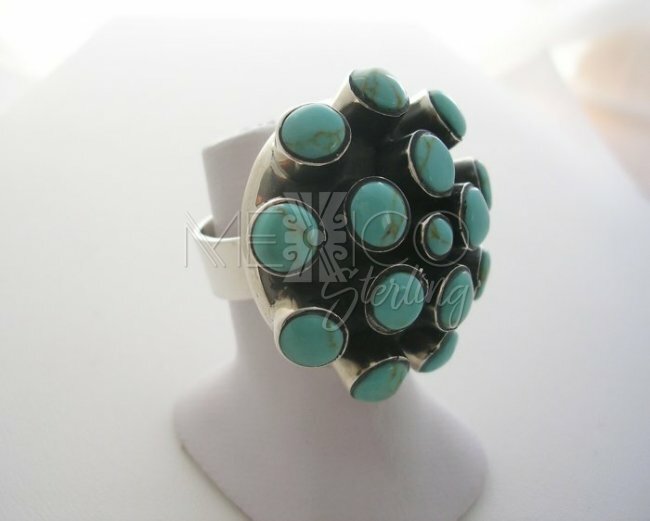 Jewelry from Taxco, Mexico. 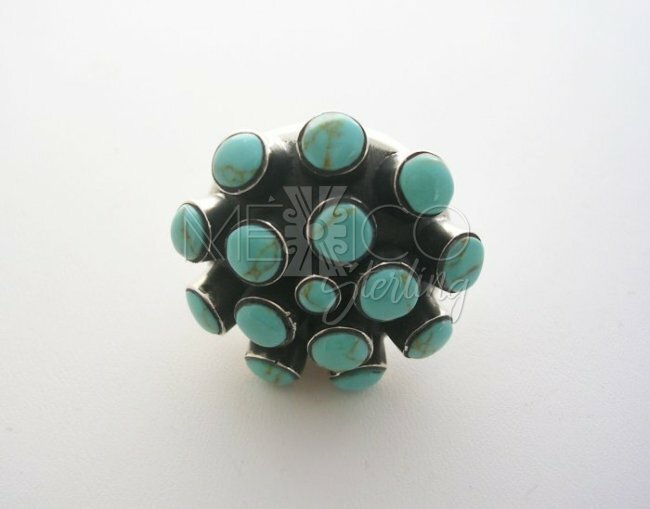 This is a very unique and contemporary design with a special decorative touch and an exotic artistic work. 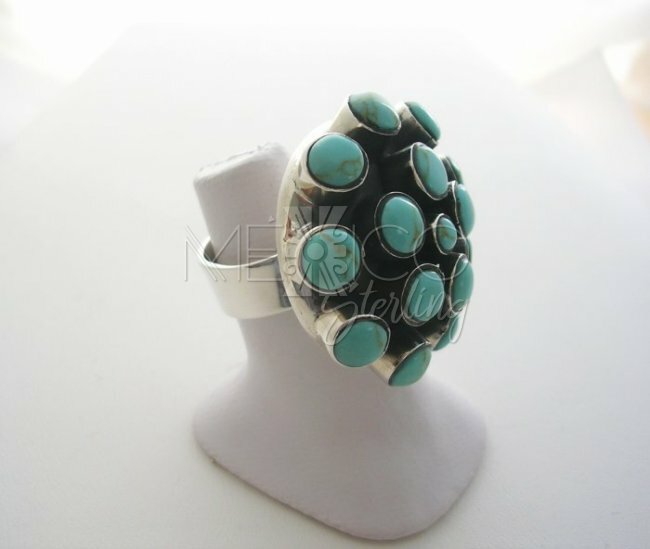 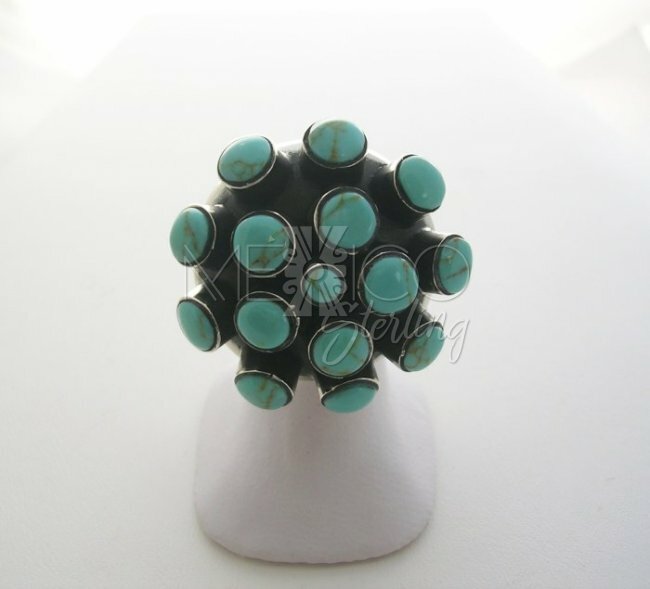 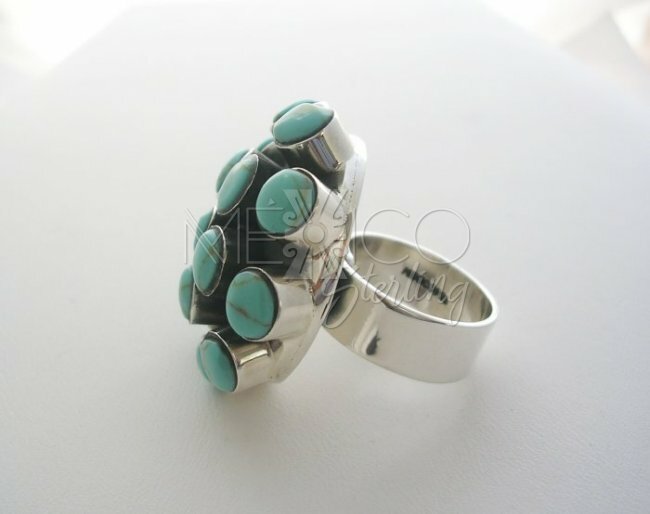 The sterling silver ring carries on the crown a geometric composition, that shows a cluster of Faux turquoise cabochons. 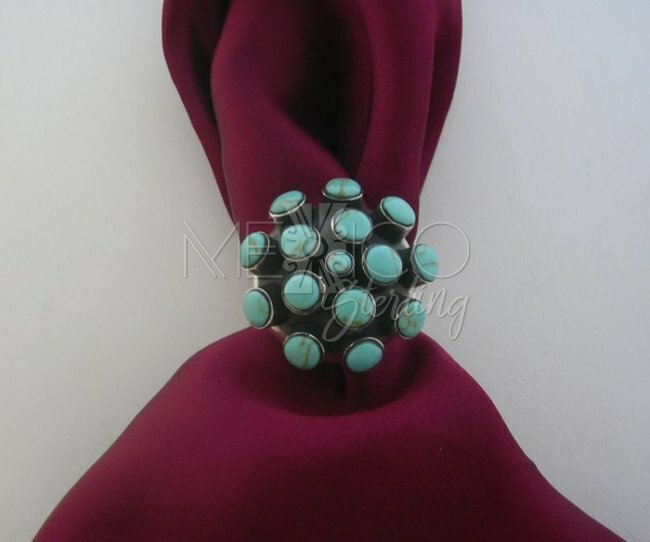 Nicely positioned with a smaller piece right in the center of the cluster. 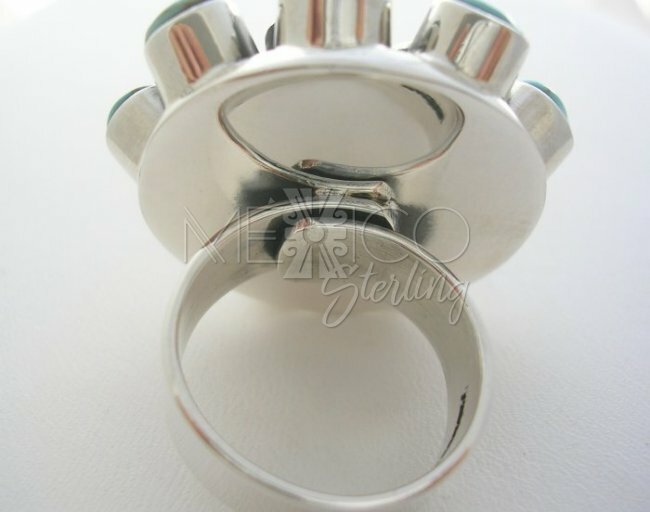 The silver crown on this ring is not hollow, the entirely jewel was made with solid sterling silver and that's why this ring is substantial in weight for its size. 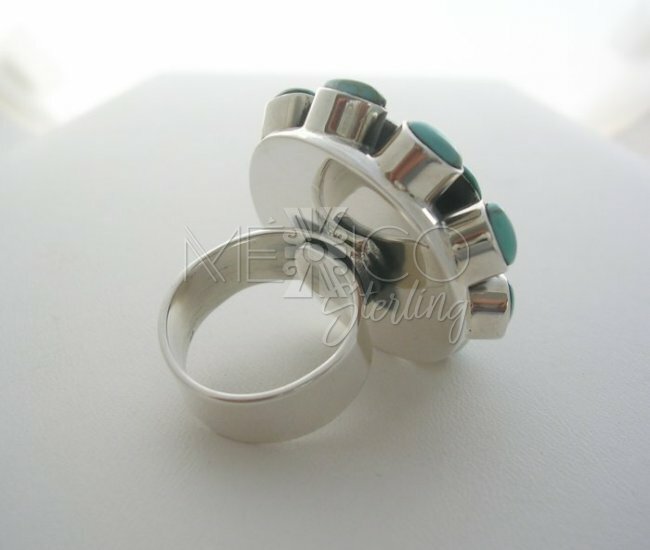 It is also an adjustable ring, handcrafted with excellent workmanship and nicely finished.